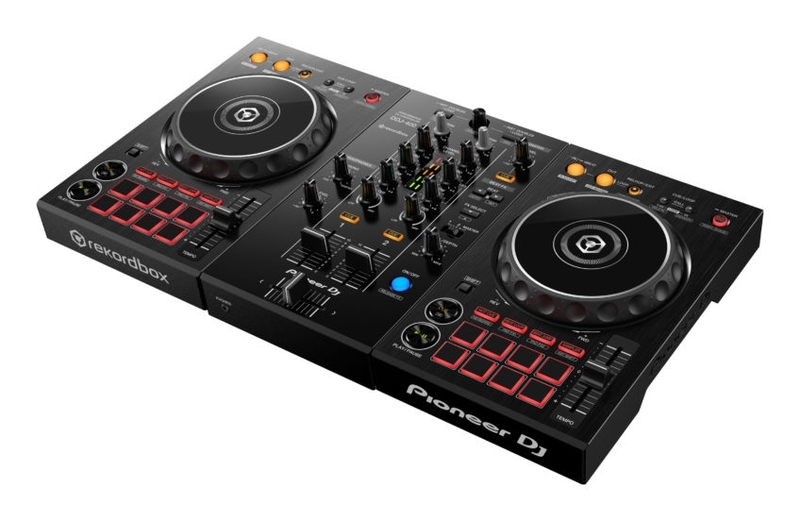 The DDJ-400 replaces the DDJ-RB and carries on in the new controller style of the DDJ-1000 but offers a brilliant solution for the beginner to break through into the world of DJing with Pioneer equipment. 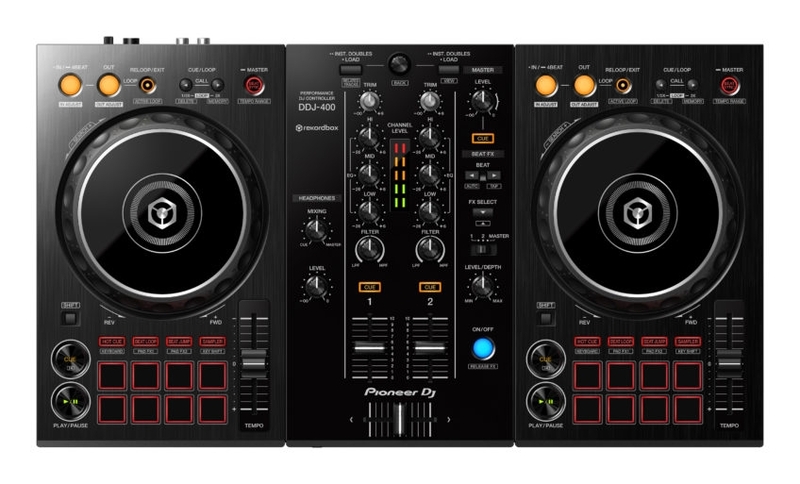 The layout emulates the flagship CDJs and DJM mixers more than ever before so beginners can make a much easier transition to full CDJ & DJM setups when they are ready. FX ON/OFF button is large & blue, to the bottomright of mixer section, with Shift function for Release FX. Addition of Beat FX to the right of the mixer section, with TAP and AUTO modes, and a button to select the desired effect from the software and a switch to apply FX to CH1, CH2 or master. Addition of a Level/Depth knob for the FX section. The LOAD button at the top has a shift function to find Related Tracks your library – Rekordbox suggests to you tracks it deems a similar ‘mood’, a similar ‘era’ (close to year of release), or ‘Association’ (artist, label etc). The other LOAD button has a shift function to change the View of the Rekordbox software. When you first plug it in to Rekordbox DJ, the software now automatically comes up with a tutorial, which takes the customer through the basics of setting up, mixing and features a performance video. They’ve got rid of Slicer and Slicer Loop to make way for Keyboard and Key Shift, and removed Sequence Call to make way for Beat Loop. Keyboard plays your selected Hot Cue but at different pitches, and Key Shift will change the key of the tune you are playing. Appearance is in-line with new range, rather than using white lines to separate the decks and mixer sections, deck sections are the brushed metal finish and the mixer section a matte black. USB, TRS headphone jack, TS mic input, RCA Master out. Kensington lock.